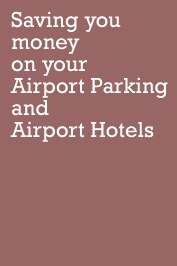 BCP Parking claim to be the largest off airport car park at Gatwick. With 4,500 plus spaces they are probably right and deserve their reputation for quality of service and flexibilty. BCP Parking also offer thier own gatwick valet parking which they call BCP Meet and Greet Parking. A BCP chauffeur meets and greets customers at their departure terminal on arrival and return then takes the car to the BCP off airport secure car park. BCP Parking is also really good for short stay parking as well as long term holiday parking because the minimum period for pre-booking is only 1 day and transfers by the BCP luxury coaches operate to and from both airport terminals every 15 minutes, taking just 10 minutes into the terminal. Go to courtesy coach pick up point for BCP coach. They run every 20 mins on a 24 hour basis.